FAQ: Is Auto Insurance Required by Law in Virginia? 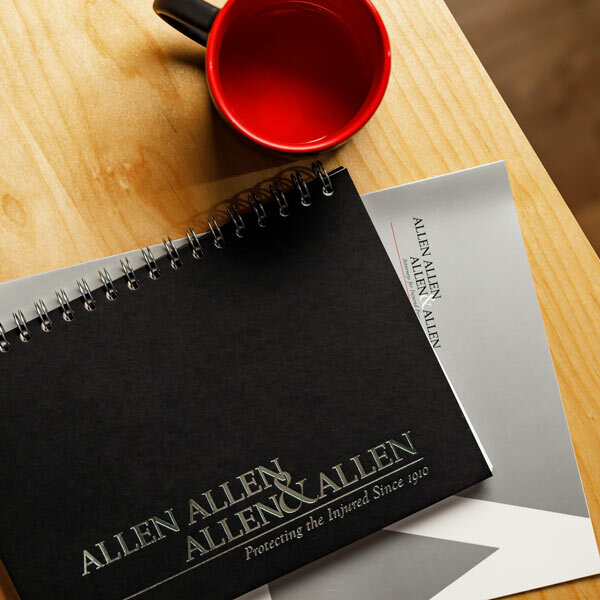 At the personal injury law firm of Allen & Allen, we frequently assist clients who are injured in automobile accidents. One of the first questions that arises is whether the at-fault driver has insurance coverage to pay for the harm caused by the accident. Sometimes the at-fault driver has insurance and sometimes not. This blog will address insurance questions that typically arise after an accident. Aren’t Virginia drivers required to have insurance? Surprisingly, the answer is no. Drivers are not required to purchase auto insurance on a vehicle registered in Virginia. However, according to Va. Code § 46.2-706, if you do not purchase auto insurance, you are required to pay an uninsured motorist fee of $500.00 per year. When you register a motor vehicle, you must indicate whether or not the vehicle is insured, and pay the uninsured fee if it is not. If you only pay the uninsured fee, this does not provide any insurance coverage to you at all. Paying the fee only protects you from being prosecuted for the violation of driving a vehicle without any insurance coverage. However, failure to have insurance leaves you financially exposed if you cause an accident that causes damage to persons or property. What are the minimum limits if a vehicle is insured? Liability insurance protects you from claims of other people should you cause damage to someone or their property through a negligent act. If a vehicle is insured, Virginia requires that it have liability coverage with certain minimum limits. If you do purchase auto insurance, the minimum limit required in Virginia is currently $25,000 per person and $50,000 per incident for bodily injury coverage, according to Va .Code § 46.2-472. This means that your insurance company will protect your assets up to $25,000 per person injured in the crash or, if more than one person has an injury claim from the same incident, up to a maximum of $50,000 for all persons injured. The minimum property damage coverage required if you buy auto insurance in Virginia is $20,000. If you cause a car accident and the other person’s claim exceeds the limits of your liability insurance coverage, then you are “exposed” for the difference between the limits of your coverage and the amount of the claim. This means that if the person whom you have injured obtains a judgment against you, they may pursue your personal assets (such as your home, your vehicle, your personal property, or any other assets you have), or garnish your wages until your debt is satisfied. In addition, having a judgment entered against you will affect your credit. This is why it is VERY important to protect yourself by purchasing motor vehicle insurance that will sufficiently protect your financial well-being. What if a person driving without insurance injures me? What happens if you are involved in a car crash with a person that has no insurance and the collision is their fault? If you have auto insurance on the vehicle you are driving, then in Virginia, you may also have a coverage called “uninsured motorist coverage.” Virginia law says that if you purchase auto insurance, you automatically get uninsured motorist coverage unless you specifically decline the coverage. Uninsured motorist coverage (or “UM coverage”) provides coverage to you if the person who caused the crash and your damages are not covered by an active auto insurance policy. Under Virginia law, the uninsured motorist coverage has the same limits as the bodily injury liability coverage. If you only carry the Virginia required minimum coverage of $25,000 and the person that caused your damages is uninsured with no assets the most you will probably ever recover is $25,000, even if you suffered a catastrophic injury. What if a person who doesn’t have enough insurance to cover my loss injures me? Your own auto insurance policy can also protect you if an at-fault driver injures you who does not have sufficient insurance coverage. Under Virginia law, there is insurance coverage that will protect you in such a situation. That insurance coverage is called “underinsured motorist coverage.” Underinsured motorist coverage (or “UIM coverage”) is also included in your policy if you have auto insurance unless you specifically decline it. UIM coverage is intended to protect you from those that may not have purchased sufficient coverage to pay your claim in full. It’s a benefit to you for having purchased higher insurance limits than the person who caused the collision. Thus, for purposes of paying your claim, it’s as if the other person has the same limit that you do. As with UM coverage, the limits of your UIM coverage are the same as the liability limits of your auto insurance policy. For example, suppose you suffer injuries in a motor vehicle crash that is caused by someone else, and your injuries require you to be kept in the hospital for twenty days and, as a result, you have a $100,000 hospital bill. If the person that caused the crash only has $25,000 in coverage, then that is the limit that their insurance company will pay and you may well be stuck with the rest of the bill. However, if you have an auto insurance limit of $100,000, then the other person’s insurance company will pay the first $25,000 (his limit) and then your company will pay $75,000 to make up the difference between the underinsured person’s policy and your policy. You recover $100,000 and it’s as if the other person had a $100,000 limit because that’s the amount you can recover. Virginia’s low limits for insurance make it extremely important to select sufficient auto insurance to protect your financial well-being. Without sufficient UM/UIM coverage, you could find yourself handling the medical bills and other costs all on your own, without the benefit of insurance. The same principles apply regarding property damage. Talk to your agent or insurance carrier to make sure you are protected. Don’t be caught “exposed” or without sufficient auto insurance coverage to protect you and your family. Editor’s Note: Many vehicles are worth more than the minimum limit of $20,000 for property damage coverage. If you damage another person’s vehicle and the damages exceed $20,000, then your personal assets are “exposed” for the difference. If you run off the road and damage another person’s property, the damage may exceed the limit of $20,000. I’ve had a number of cases where someone caused an accident and forced another driver off the road into the support for a large highway sign. The replacement of the support and sign can easily exceed $20,000.